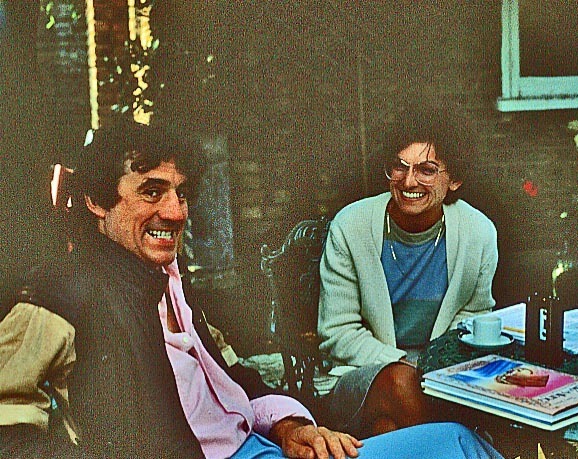 Terry Jones and Sara Rath-- 3 August 1983. BOOKLIST says: Rath’s Northwoods saga continues as Natalie, who had “immersed herself in her husband’s identity, been ‘the perfect banker’s wife’ and always deferred to him,” rents out her house for the summer, and returns to their rustic cabin for rest and solitude after his recent death. He had taken care of “all the planning and thinking,” while she had “all the feelings,” leaving her unprepared to deal with the wolf attack on her beloved dog, Molly, the persistent rumor that John Dillinger’s $210,000 was hidden in the area, and the unexpected arrival of a teenaged granddaughter she barely knows. Incensed at reading of the attack on Molly, the Howlers, a group of anti-wolf extremists, barrage Natalie with violent e-mail on behalf of their cause, making the cabin without indoor plumbing and the 80 surrounding acres of wilderness seem anything but restful. Finally, an “indecently handsome” wolf biologist rounds out this great summer mystery read.